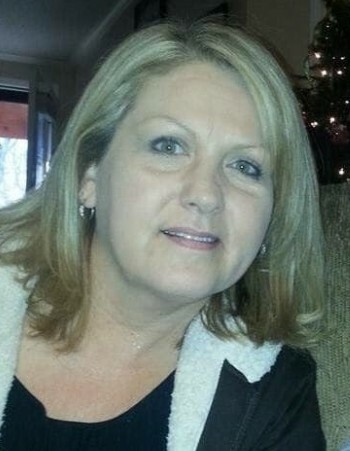 Pamela Pittner, 57, of New Market, Alabama, passed away on January 23, 2019. She was a 1979 graduate of Sparkman High School and worked as a buyer in the manufacturing industry for many years. Pam loved her family - especially her grandbabies - and was an outgoing person who never met a stranger. She enjoyed making others laugh with her own contagious laughter..
She was preceded in death by her grandparents, Rollie & Stella Payton, Arlin Cryer, and Norma Cook. Surviving family members include her son and daughter-in-law, Sean & Jessica Pittner; Her grandchildren: Alyssa Pittner, Hayden Pittner, and Jayce Pittner; Her mother, Shirley Bell; Her father, Jerry Cryer; Her brother, Jerry Wayne Cryer II; Her sister, Teresa Wilbanks; She is also survived by a host of nieces, nephews, by her uncle, Douglas Payton and wife, Mary Ann, and by her fiance, Tom Lamar. The family will receive friends on Wednesday evening from 5 until 8pm at Hazel Green Funeral Home. Funeral services will be Thursday at 2pm at the funeral home. Burial will follow in Charity Cemetery.